President Trump's former personal attorney will also appear before a Senate committee on Feb. 12. WASHINGTON — Michael Cohen, Donald Trump’s fixer turned vocal adversary, has swapped out his attorneys, one of his representatives said Monday, asserting that Cohen wanted new representation as he navigates testifying in various congressional inquiries. Lanny Davis, one of Cohen’s lawyers who also has served as his media representative, said in a statement that Cohen is bringing on Michael Monico and Barry Spevack – two veteran Chicago-based lawyers from the firm Monico and Spevack – to replace Guy Petrillo and Amy Lester, who had represented Cohen as he went through court proceedings in federal court in Manhattan. A person familiar with the matter said Cohen had fallen behind in his bills to Petrillo and Lester, although Davis disputed that this situation led to the change. On Monday, Rep. Adam Schiff, D-Calif., said Cohen had agreed to appear voluntarily before the House Intelligence Committee on Feb. 8 for nonpublic testimony. He already had been issued a subpoena to appear before the Senate Intelligence Committee, also a closed-door session, and is expected to do so Feb. 12, Davis has said. Cohen had been scheduled to appear in public before a third committee – the House Oversight Committee – that same month but backed out last week, citing threats from Trump and his lawyer, Rudolph Giuliani, as well as “advice of counsel.” Trump has been publicly critical of Cohen for his cooperation with special counsel Robert Mueller, called him a “rat” and suggested that Cohen’s father-in-law ought to be investigated. Cohen has pleaded guilty in two criminal cases in federal court in Manhattan – one in which he admitted to engineering payments, in violation of campaign finance laws, to women to keep quiet about alleged affairs with Trump, and another in which he admitted to lying to Congress about a possible Trump Tower project in Moscow that he pursued during the heart of Trump’s presidential campaign. He was sentenced in December to three years in federal prison. Cohen has been cooperating with law enforcement, including Mueller, and has aired some of Trump’s dirty laundry during public court proceedings. He asserted, for example, that Trump directed him in the campaign finance violations, and that he had been “living in a personal and mental incarceration” since going to work for the real estate mogul. Lawmakers, though, have sought to call him as a witness in their own inquiries, hoping he will be able to reveal even more before he is scheduled to report to prison March 6. Cohen’s bringing on Monico and Spevack will mark his third adjustment to his legal team. 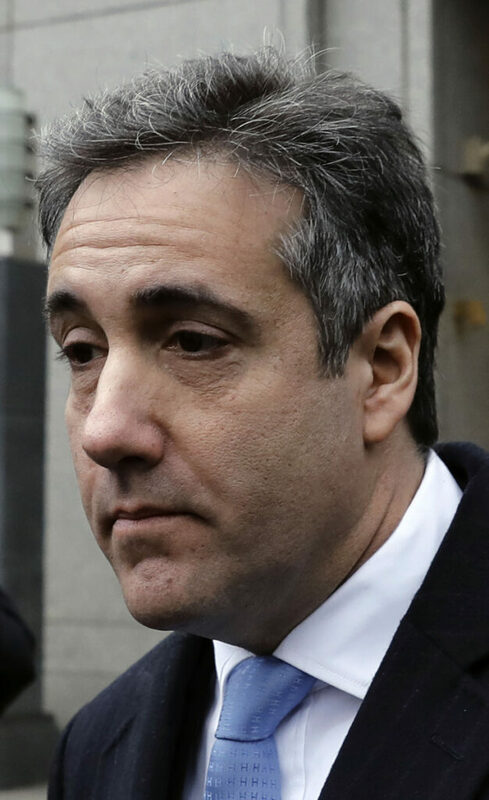 He was first represented by Stephen Ryan – who helped him prepare the congressional testimony that Cohen ultimately admitted was deceitful – before switching to Petrillo and Lester. Petrillo, a veteran of the federal prosecutor’s office in Manhattan, was viewed as someone who could help Cohen navigate that office’s investigations.